The fellas are back at it in East Lansing in just about 30 minutes looking to win ✋??? ?in a row. 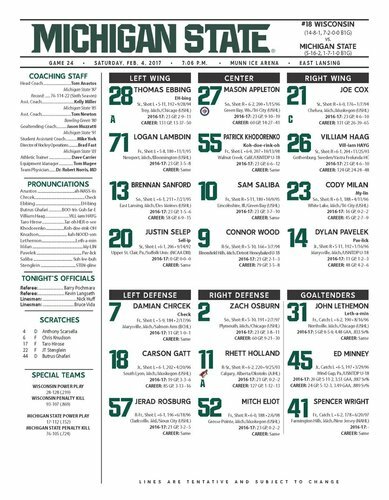 Matt Jurusik in net for the Badgers, John Lethemon for the Spartans. Game is underway at Munn. We're underway in East Lansing! Matt Jurusik and John Lethemon in net tonight. Matt Jurusik with some big saves early in the first period. 4:46 gone by and we are still scoreless. 5:36 into the 1st and the Spartans will get the game's first PP. Ryan Wagner is whistled for interference and will sit in the penalty box for two minutes. 5:36 has elapsed. With MSU on PP, Jurusik makes a glove save on Khodorenko on a power play, then smothers a long shot by Cox. Shots on goal are 8-1 for MSU. Badgers kill it off! Wagner steps out of the box and teams are back to 5-on-5 with 12:24 to go in the first. MSU coming out much stronger tonight in the first period but Jurusik has stood tall so far. Spartans up in shots 11-3. 0-0 midway through the 1st. First Badgers power play coming up as MSU takes a too many men on the ice penalty. Score is still 0-0 with 6:24 to go in the first. Spartans kill off the bench minor and teams are back to even strength. Four and a half minutes left in the period. Just over 2 to play in the 1st and the Spartans with 14 SOG - their most in an opening period this season. Matt Jurusik continuing his strong first period, stopping all 14 shots he has faced. 0-0 with 2:31 to play in the frame. 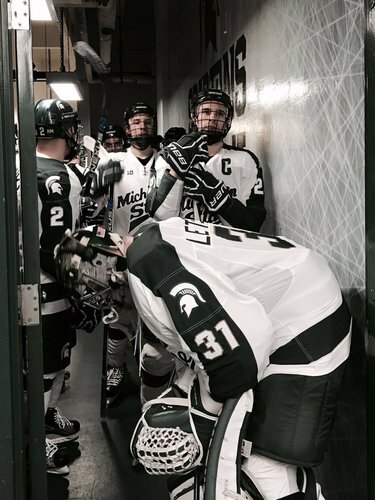 SPARTANS GOAL: Brennan Sanford scores on a rebound, and Michigan State finally gets rewarded for a good start. MSU leads UW 1-0. MSU takes a 1-0 lead with 2:04 to go. No goal - whistle blew prior to the goal, but the Spartans will go to the PP with 2:04 to go in the 1st. Spartans also get a power play as Tischke is whistled for cross checking. Take that back: The goal was waved off but there was a penalty on UW's Tischke on the play. Not really sure from TV replay why no goal. 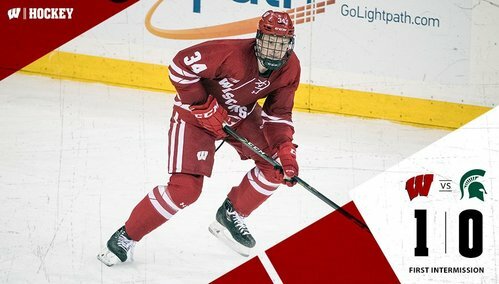 SH goal for Wisconsin, 1-0 Badgers. BADGERS GOAL: This one counts. Luke Kunin scores on a short-handed breakaway for a 1-0 UW lead over MSU. MSU with an 16-8 edge in shots.
.@lukekunin9 scores a short-handed goal! 1-0 @BadgerMHockey ! 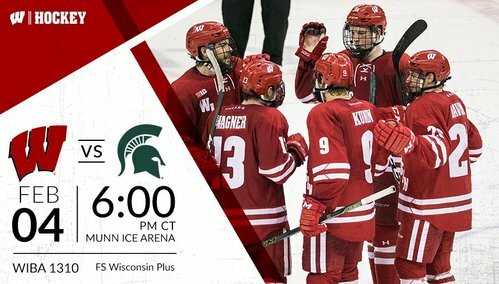 END 1: Wisconsin leads Michigan State 1-0 on a Luke Kunin short-handed goal 13 seconds after the Spartans had a goal waved off. Matt Jurusik made 16 saves in the first period for the Badgers. 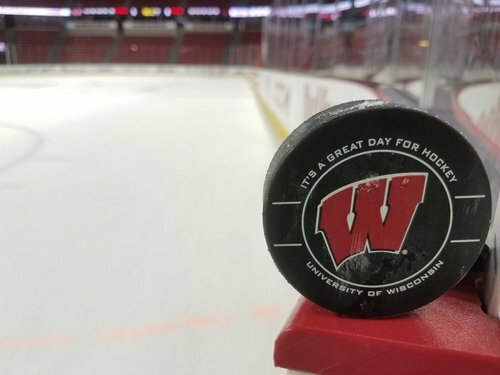 Second period is underway with the Badgers leading 1-0. Solid shift from the fourth line of Zirbel, Cavallini and Freytag creating some chances in front of the MSU net. 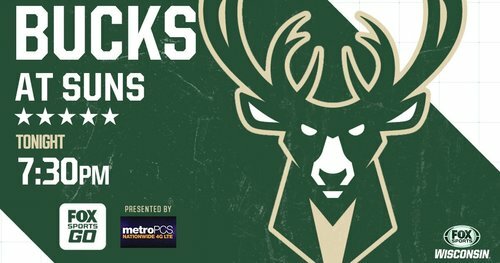 15:12 left in the second. 12:12 to go in the 2nd and we'll play 4x4 for 2:00. Kunin and MSU's Eliot are given off-setting penalties so we'll have 4-on-4 hockey for two minutes. 1-0 UW with 7:48 gone by. SPARTANS GOAL: It looks like Holland poked the puck in, and then there's a rumble on the ice. But I think this one counts. 1-1 in the 2nd.